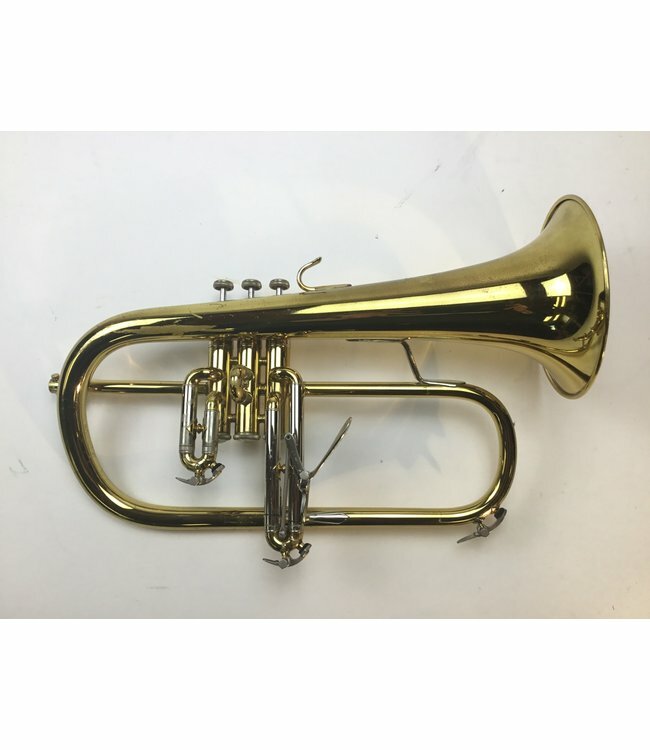 Used Bach Stradivarius model 183 Bb flugelhorn in lacquer. Instrument is in good condition with lacquer wear throughout and dings. Includes case.